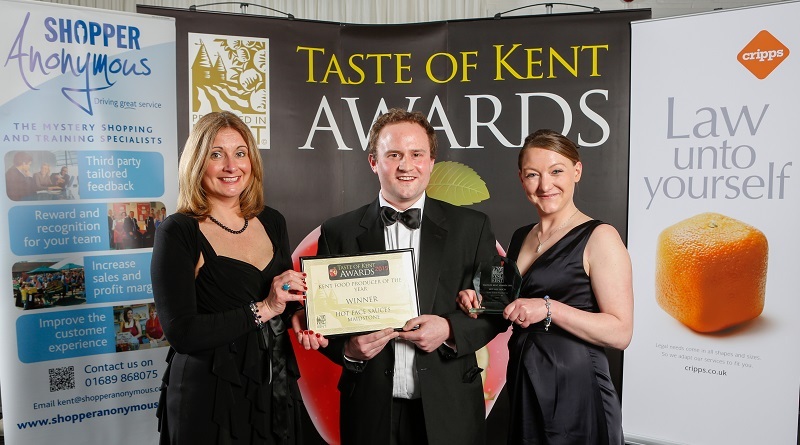 Hot Face Sauces has been named Winner of the Producer of the year at the Taste Of Kent Awards 2015. The prestigious awards took place at the Kent Showground on the 12th March 2015. We make and bottle our sauces in Kent. None of our products are manufactured in China or the US then shipped here. We only use fresh chillies – this means all of our sauces have a truly authentic and fresh taste. Our sauces are made in small batches ensuring the quality and care is in place meaning the sauces you enjoy are of the highest quality and taste. We don’t use any artificial additives, flavour enhancers or capsaicin extracts. Yes chillies are hot but let them introduce their real heat to the sauce and let’s appreciate chillies for what they are. All of our products are low in salt – When we first created this company we wanted to produce something that we would be happy for our kids to eat so we only use the smallest amount possible of salt (less than 2 teaspoons per 50 bottles). Most of our sauces contain little or no sugar (obviously some of sauces are based on sugar so excluding these cheeky few! ), again as little as two teaspoons per 50 bottles, I bet you put more in your tea or coffee every day! 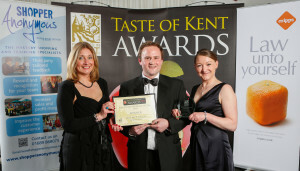 Produced in Kent have been organising The Taste of Kent Awards since 2004 showcasing the best of Kent’s food and drink products. 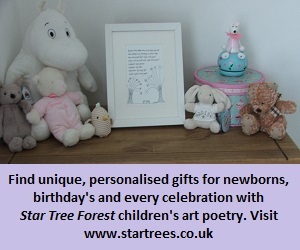 It is the county’s longest running and most prestigious awards having gained many loyal sponsors and supporters during that time. The range of categories has grown year on year and now incorporates every product that Kent, the Garden of England, is renowned for. With each passing year, the number of votes cast for your favourite food and drink heroes has also grown massively with Kent foodies demonstrating great support for local products by participating in these annual awards. ← Maidstone: Do you have ‘Local eyes’ on your business?